The Montafon Brandnertal Card gives you unlimited access to various facilities and services in the Montafon from 3 to 14 consecutive days. The Montafon Brandnertal Card gives you unlimited access to various facilities and services in the Montafon, in Brandnertal, in Klostertal and in Walgau. The Montafon Brandnertal Card is valid for you and your family. Enjoy and save money, that's the motto. Note: Also valid with the Tyrol Transport Association for the Silvretta – Kops connection. Toll exemption on the Silvretta-Hochalpenstraße for the pass holder for trips made in a private car/on a motorcycle or bus. The Montafon Brandnertal Card is valid from April to November. In order to be able to issue the Montafon Brandnertal Card for you please bring a photo, which can also be taken here for free if you do not have one with you. For concession cards for children and seniors please show bring a photo ID. 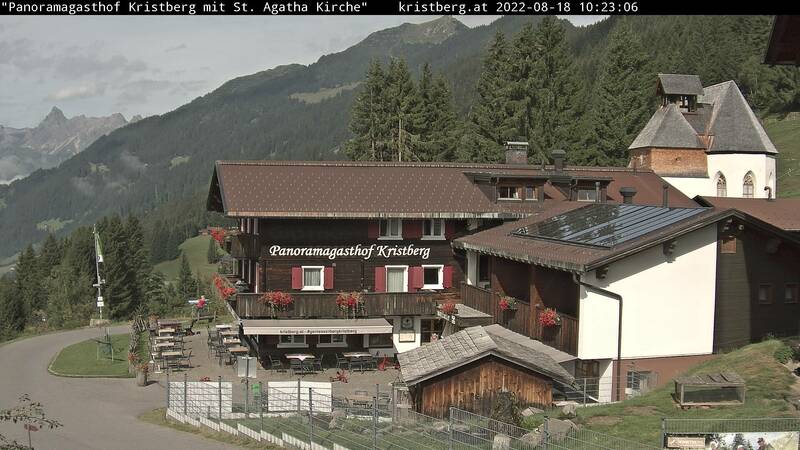 The Montafon Brandnertal Card is available at all participating mountain railway stations as well as at the Kristberg Panoramagasthof. Learn more about the latest prices on the official website. Enjoy your summer in Vorarlberg to the fullest with the Montafon Brandnertal Card. The holiday region between Verwall, Rätikon, and Silvretta mountain range offers many adventurous hikes, mountain bike tours and various great outdoor events around the energy-rich Panoramagasthof on the Kristberg. The Zudrell host family and the indulgence team on the Kristberg are looking forward to your no obligation room enquiry; you can also book conveniently online.